Every year hundreds of bears are destroyed in BC as a result of conflicts between people and bears. In rare instances, people are also injured or even killed as a result of these conflicts. Most of these problems begin when people allow bears to access non-natural food sources such as garbage. The Bear Smart Community program is a program designed and run by The Ministry of Forests Lands and Natural Resource operations in partnership with the British Columbia Conservation Foundation and the Union of British Columbia Municipalities. It is a voluntary, preventative conservation measure that encourages communities, businesses and individuals to work together. The goal is to address the root causes of human/bear conflicts, thereby reducing the risks to human safety and private property, as well as the number of bears that have to be destroyed each year. This program is based on a series of criteria that communities must achieve in order to be recognized as being "Bear Smart". The responsibility to manage bear-human conflicts rests with everyone; Bear Smart will require participation from the provincial government, municipal governments, and local citizens to be successful. WildSafeBC and the Ministry of Environment will provide technical advice to communities that are seeking to obtain Bear Smart status. Several British Columbia communities have been proactive in reducing bear conflicts and have already been awarded Bear Smart status or met one or more of the criteria required to be “Bear Smart”. For more information on having your community become “Bear Smart” please contact Mike Badry with the Conservation Officer Service (778-698-4276). Prepare a bear-human conflict management plan that is designed to address the bear hazards and land-use conflicts identified in the previous step. Revise planning and decision-making documents to be consistent with the bear-human conflict management plan. Implement "Bear Smart" bylaws prohibiting the provision of food to bears as a result of intent, neglect, or irresponsible management of attractants. A brochure outlining the Bear Smart Community program, as well as a technical background report, are available. The background report is for use by communities that are interested in pursuing this initiative and provides detailed information on each of the criteria, including examples of their successful application. Map non-natural attractants within the community and surrounding area that attract and/or are accessible to bears such as landfills, transfer stations, park and highway pull-out litter barrels, orchards, residential garbage collection routes, downtown dumpsters, etc. Review and map patterns of historic bear-human conflicts based on complaint records to assist with the identification of bear hazards. Map human-use areas that may conflict with bear habitat such as school yards and residential areas located adjacent to heavy bush, walking trails that pass through berry patches, etc. Prepare a bear-human conflict management plan that is designed to address the bear hazards and land-use conflict identified in the previous step. Develop strategies to resolve bear hazards and potential bear/human conflict areas. Identify preferred wildlife movement corridors around the community and any work required to restore natural corridors that may have been interrupted by human activity/development (e.g., this may require moving facilities to other, less intrusive areas). Direct the removal of cover by brushing vegetation to reduce hazards (e.g., removing brush around portions of parks, school yards, golf courses and in areas adjacent to residences in high-risk attraction areas). Develop a community landscape plan that avoids the use of fruit trees and other plants that may act as attractants and calls for the removal of existing fruit trees that are causing problems. Include specific strategies to address bear management associated with any landfill closures or electric fence installations. Assess the costs of the various bear management strategies and make recommendations on a budget cycle to finance implementation of the plan. Implement a process for overseeing the implementation of the bear-human management plan (e.g., establish a bear-human conflicts committee). Include consideration of important bear habitat/use areas in all land-use decisions documents. Avoid development in prime bear habitat so as to reduce/eliminate the potential for bear/human conflicts. Revise the Official Community Plan to reflect the bear/human conflict management plan. Implement restrictive covenants consistent with the revised OCP. Revise land zoning consistent with the revised OCP. Revise components of the Regional Solid Waste Management Plan pertaining to the community (in cooperation with the regional district) to be consistent with the bear-human conflict management plan. Revise any other planning and decision-making documents that may have an impact on bear/human conflicts to be consistent with the bear/human conflict management plan. Residential, commercial, agricultural and industrial practices to manage non-natural attractants including: garbage storage, barbecues; human and pet foods; compost; bird-feeders; orchards, vineyards, apiaries, grain growing, vegetable growing, home-grown fruit; etc. Proper behaviour in bear habitat and during a bear encounter in the community. Establishing a level of tolerance towards the presence of and natural behaviour of bears in reasonable numbers in or near the community. A program for communicating current bear activity to the public and responding to request for advice in minimizing bear attractants. It is not mandatory that a community embrace the WildSafeBC Program in order to qualify for Bear Smart status. 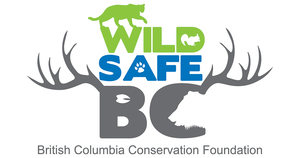 It is however required that any community education resemble the structure of WildSafeBC, with the same aim of reaching people with education on the management of attractants to reduce bear/human conflict in their neighbourhood. 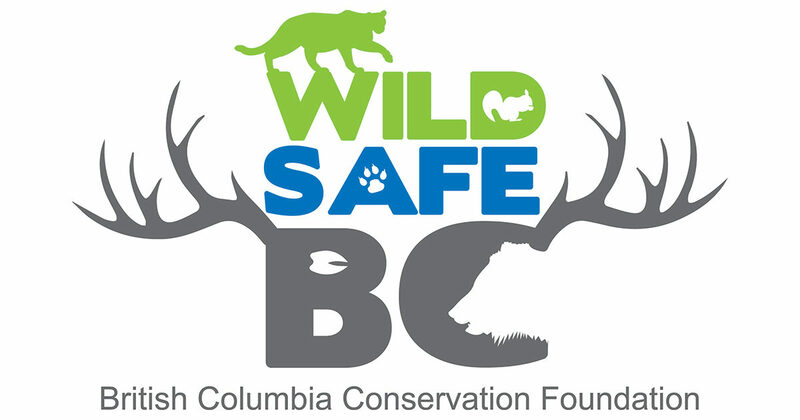 As a program, WildSafeBC administers the Bear Smart Program for the Ministry of Environment. Develop and maintain a bear-proof municipal solid waste (MSW) management system. Ensure that any and all municipally-owned and operated components of putrescible MSW collection, transfer, disposal, recycling and composting in areas that are accessible to, or are frequented by, bears are bear-proof. Implement a by-law to ensure that the same is true of any and all private sector components of putrescible MSW collection, transfer, disposal, recycling and composting. Implement a compliance strategy for the municipal solid waste management by-laws to ensure compliance. Collection shall include use of bear-resistant barrels on downtown streets which bears may be attracted to and at all municipal park facilities (campsites, ball parks, soccer fields, etc. )Commercial/industrial collection routes in bear areas shall use bear-resistant dumpsters. Disposal shall consist of one of the following: land-filling inside a property designed, constructed and operated electric fence; incineration using a complete-combustion incinerator properly sized to the population; or a bear-resistant transfer station that ships the refuse outside of the area to a bear-resistant disposal facility. Backyard composting may need to be restricted in residential areas adjacent to high-use habitat or otherwise required, by bylaw, to be conducted in a bear-proof manner (e.g., use of electric fencing in backyards, or use of bear-resistant composting containers such as steel drums). Community composting of putrescible matter in bear areas shall be conducted inside an electric fence. Legislation and implementation of "Bear Smart" bylaws prohibiting the provision of food to bears as a result of intent, neglect or irresponsible management of attractants. There is legislation in effect that can help prevent the creation of “problem” bears and provide public safety. Under the Wildlife Act, it is an offence for people in British Columbia to feed dangerous wildlife (bears, cougars, coyotes and wolves) or disobey orders to remove and clean up food, food waste or other substances that can attract dangerous wildlife to their premises. 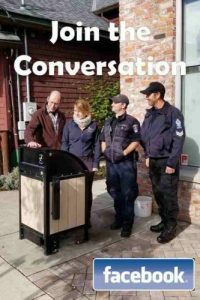 Conservation Officers may issue a written dangerous wildlife protection order, which requires “the removal or containment of compost, food, food waste or domestic garbage.” If people fail to comply with the other they could face a penalty of up to $50,000 and/or six months in jail. make it an offence to discard or store waste, food, or other attractants in non-bear resistant containers, either intentionally or unintentionally. require that garbage be stored in a bear resistant container and/or location and that curbside placement before the morning of pick-up not occur. include community composting requirements in high-risk attraction areas of the community.